THANK YOU to all of our friends that supported our Care Package Project through Amazon Smile this quarter! 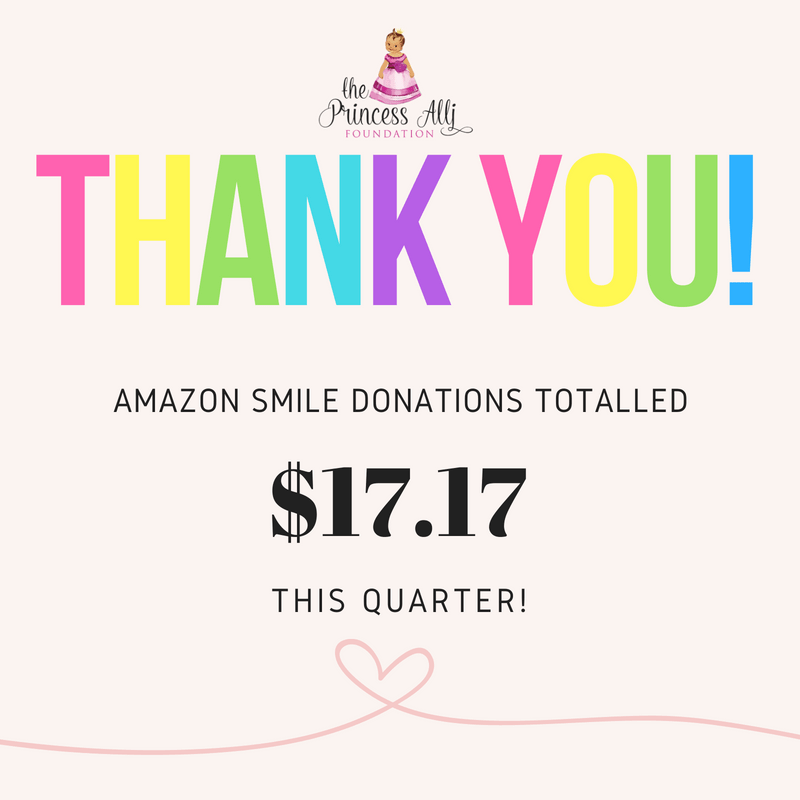 If you haven’t already, be sure to visit smile.amazon.com and set Princess Alli Foundation as your charity of choice! It won’t cost you anything, and Amazon will donate a portion of your purchase to us! For more information on AmazonSmile click here!